Kambic Climatic Chambers allow you to simulate different climates and environments with ease and precision to understand the impact on the safety or quality of your products. Alternatively, these high-performance environmental test chambers can be used for quick and efficient calibration of a range of sensors. Various volumes across 3 distinct temperature ranges, custom sizes and walk-in chambers are also available. Withnell Sensors Ltd is the exclusive distributor and after sale service provider of Kambic climatic chambers in the UK & Ireland. Kambic is specialised in the designing, developing and manufacturing of high-quality climatic chambers and controlled environment rooms. 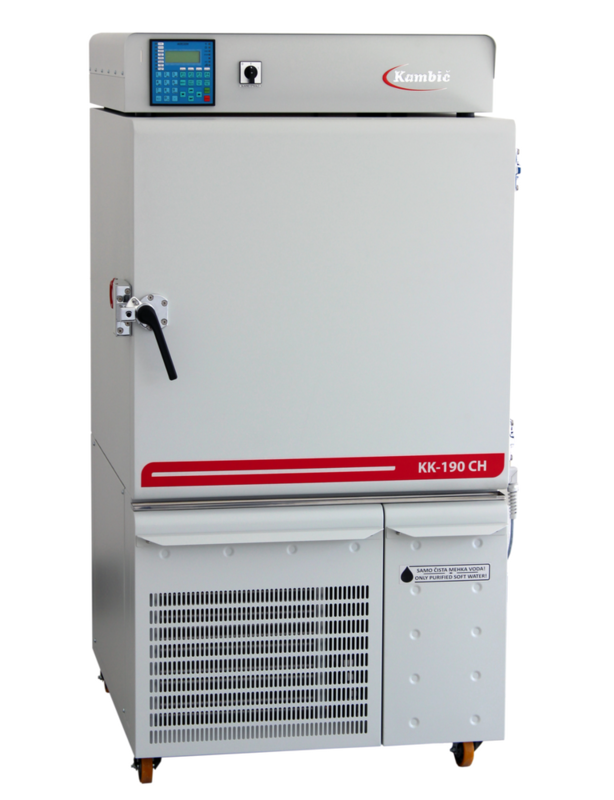 Kambic environmental test chambers offer the ideal solution for temperature and humidity testing, simulation and exposure to weather, temperature cycles, aging and stress testing. The climatic chambers are a refined solution for research and development studies, quality control, production facilities and laboratory testing. The range of kambic environmental testing chambers offer the ideal solution for temperature and climatic testing. We are always on hand to offer expert advice and technical support. Our engineers have experience with working with a range of clients on various projects. We can help you to select the right climatic chamber to suit your requirements and our after sales care is exceptional, offering extra reassurance. Please contact us for a quick quotation. Standard products can be quoted within 1 business day. We can also offer tailored solutions for your specific requirements!